While I always carry tea bags with me when I camp, I am constantly looking for new products that can flavor my water without a lot of weight. This is where I found Runa. 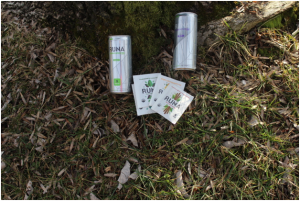 Runa Tea comes in both bags and cans. If I am going on a short trip, I will choose the can version. While I have to care the cans out, the convenience of having already made tea makes the pack out issue worth it. Yes, I know there are other versions of bottled and canned tea, Runa Tea is different. It is a product with a cause. The mission of this company is to produce a delicious product that is good for you without destroying the environment and native cultures. While this product is marketed as a tea, it actually is not. It is a natural product called guayusa, which performs some of the same functions as green or black tea. As stated before, the “tea” does come in a canned version but what when I am going to be out in the backcountry for a while I prefer the tea bags or loose leaf. While there is a selection of different flavors of “tea,” the selection is limited compared to store brands. 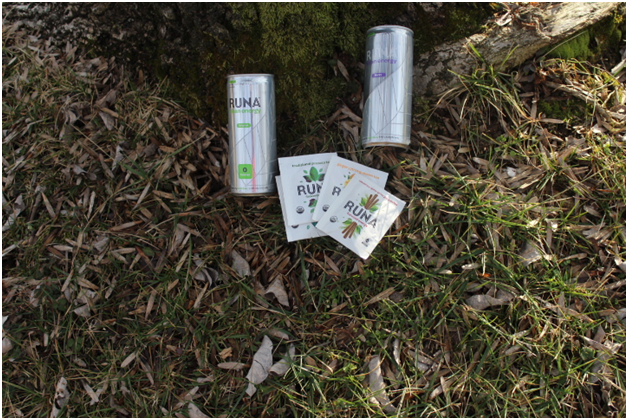 Yes, this can be an issue but the Runa is so flavorful, you will not miss the fact that there is not a wide selection of flavors. Prior to trying this product, my normal tea preparation process was to get up, build the fire and put a pot of water on a grill rack above the fire. Once the water was hot, I would pour it over the tea bag and steep for as long as I wanted. This changed when I tried my first cup of Runa and I really did not know why. I was on a long camping trip out in Indiana’s backcountry. I followed the same process as described before but when I pour the water over the tea bag, I just did not feel like rushing around. I sat down and enjoyed the steeping process of my “tea.” I would later call this process “mindful steeping.” This “mindful steeping” gave me a chance to think about the night, talk to my fellow campers, and reflect on what the day’s plans were. Ever since that first tea bag of Runa, I have continued to slow down and enjoy the simple processes of life, like steeping tea.